Mega Sale! 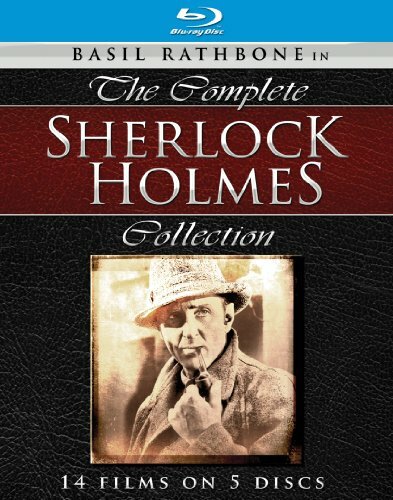 Save 22% on the Sherlock Holmes: Complete Collection [Blu-ray] by Unknown at Chocolate Movie. MPN: MPI1819BR. Hurry! Limited time offer. Offer valid only while supplies last. The Complete Sherlock Holmes Collection stars Basil Rathbone as the legendary Sherlock Holmes and Nigel Bruce as the venerable Dr. John H. Watson. The Complete Sherlock Holmes Collection stars Basil Rathbone as the legendary Sherlock Holmes and Nigel Bruce as the venerable Dr. John H. Watson. Comprised of all 14 films on 5 discs in high definition.